Blanket Jackson, Michael Jackson, Paris Jackson and Prince Jackson ♥♥. . Wallpaper and background images in the Prince Michael Jackson club tagged: prince jackson paris jackson blanket jackson michael jackson jackson family ♥. 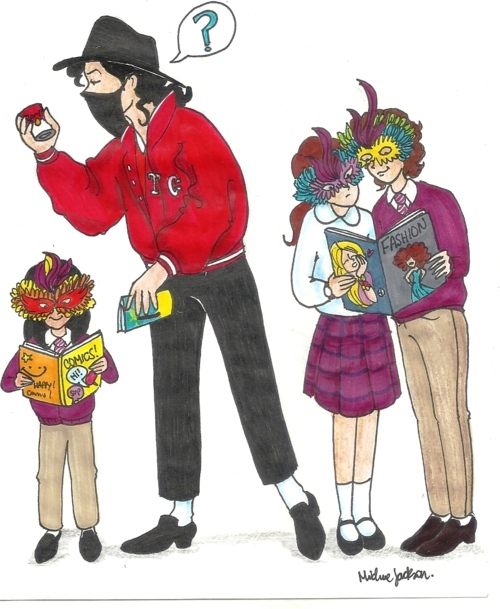 This Prince Michael Jackson fan art contains anime, comic book, manga, and cartoon.